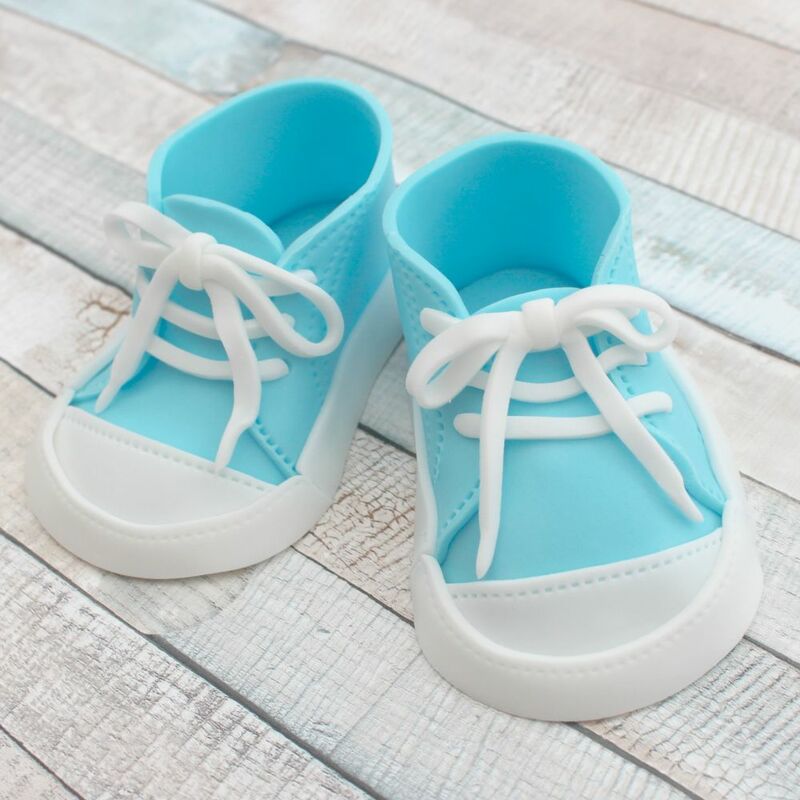 Stunning handmade fondant Baby Trainers Cake Topper. 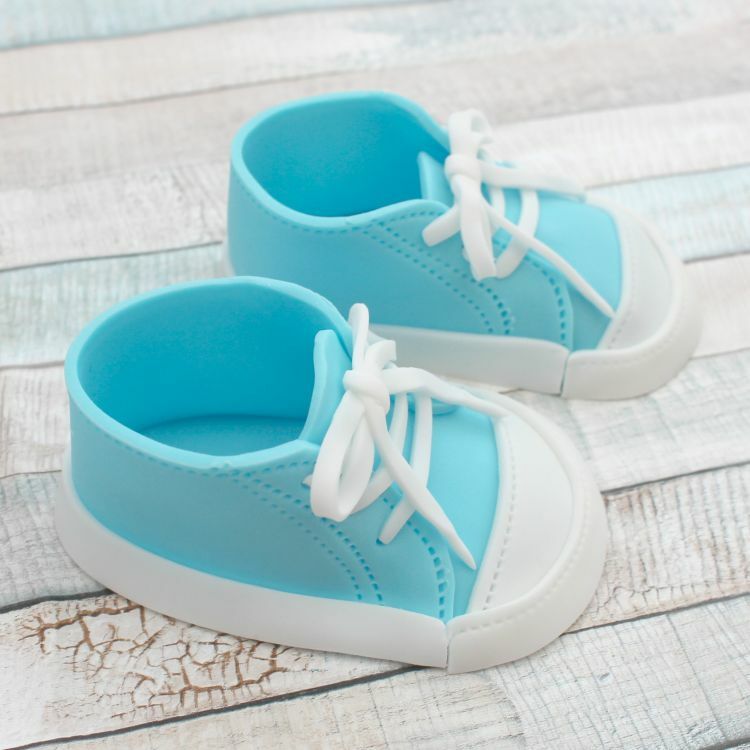 You can choose what colour you want the trainers to be, simply use the option available. Beautiful and unique, this topper decoration gives the perfect finishing touch to your celebration cakes. Ideal for a baby shower, Christening or birthday cake! The trainers are approximately just under 6” across when sitting next to each other, but this may differ slightly as all models are handcrafted. 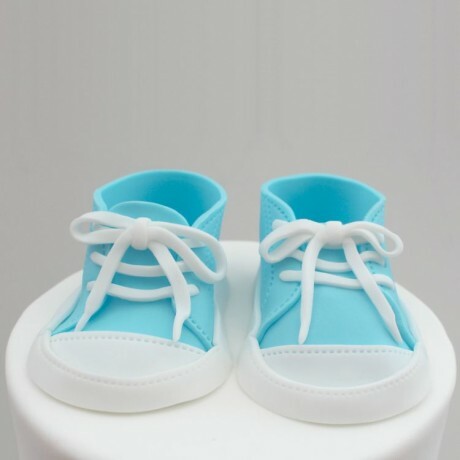 The baby trainers are pictured on a 6" cake to give you an idea of size.